Newt Gingrich is cruising into front-runner position in several new polls — opening up a double-digit lead over Mitt Romney in the key early voting states of Iowa and South Carolina. Tha January 3rd Iowa Caucuses provide the first opportunity for Republicans to vote for their nominee to face President Barack Obama next year, and right now Gingrich is up 33 percent to Romney’s 18 percent in the latest ABC News/Washington Post poll. Ron Paul is tied with Romney — further driving home the point that Romney is having difficulty appealing to conservatives. In South Carolina, the winner of the Palmetto State primary has gone on to win the nomination every cycle since 1980. 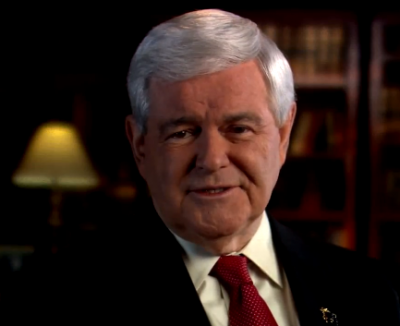 Gingrich leads the state in a new Winthrop University poll 38 percent to 22 percent.